While I was back in Lichfield last week, I was taking photographs to illustrate my morning Lenten reflections on the sayings of Samuel Johnson and I noticed an interesting plaque on a wall on Market Street at the entrance to the City Arcade. This plaque marks the site of No 12 Sadler Street and is the only surviving trace of Lichfield’s Museum of Curiosities, once a celebrated talking point in Lichfield at the end of 18th century. 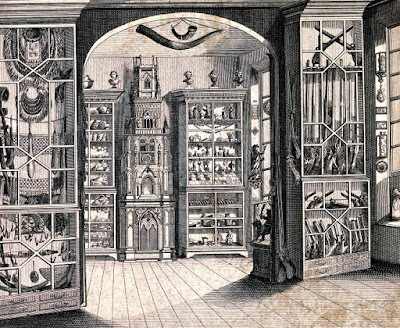 The museum was the brainchild of Richard Greene (1716-1793), an eccentric and curious antiquarian and the collector of curiosities. Throughout his working life, Greene practised as a surgeon and apothecary in Lichfield. Although it is said a university in Scotland gave him the degree of MD, he never called himself Dr Greene. He was also involved in the civic life of Lichfield, and was Sheriff of the City of Lichfield in 1758, Bailiff in 1785 and 1790, and one of the city aldermen in 1790. But he is best remembered for his museum and the eccentric collection of items he assembled and catalogued. Richard Greene was born in 1716, the third son of Joseph Greene (1679-1752) of Lichfield and his wife Mary (Willes) Greene (1681-1755). His eldest brother, the Revd Joseph Greene (1712-1790), was the headmaster of Stratford-upon-Avon Grammar School (1735-1772). Another brother, John Greene (1713-1772), was a surgeon and apothecary who practised in Cannock. The Greene brothers were also related to Samuel Johnson. Richard served an apprenticeship to an apothecary-surgeon in Shrewsbury, but he returned to Lichfield around 1741 and he married his first wife Mary Dawson, the daughter of an apothecary from Sunderland, in Saint Mary’s Church, Lichfield, on 12 May 1741. 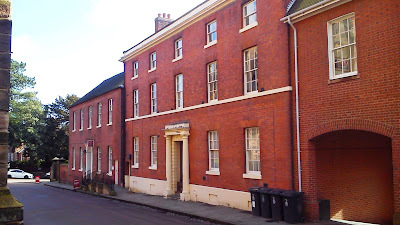 They set up house in Sadler Street, now Market Street, and their children included a daughter, Mary, who was born in Lichfield on 14 September 1744, and who married William Wright of Lichfield. His second wife, Theodosia Webb, was from Croxall, Derbyshire; they married in 1762, and their children included Thomas Greene, a lieutenant and surgeon in the Stafford militia. As well as practising as an apothecary and surgeon, Greene was an enthusiastic amateur antiquarian and a self-publisher. He was a frequent contributor to the Gentleman’s Magazine, and a woodcut from his sketch of a tombstone found in 1746 among the ruins of the Friary in Lichfield was published in the Gentleman’s Magazine in September 1746. Greene also established the first printing press in Lichfield. However, his attention was devoted principally to his collections, and from about 1748 until his death his zeal in collecting objects of interest never flagged. He kept his museum in his house at 12 Sadler Street, now Market Street, a few doors away from the house on the corner of Market Street and Breadmarket Street where Samuel Johnson was born. Greene’s museum in Lichfield predates the British Museum in London, which was not founded until 1753. By then Greene had been assembling his collection for some years. It is interesting to note that the oldest public museum in England, the Ashmolean in Oxford, was based around the collection of Elias Ashmole (1617-1692), who was also born in Lichfield … in Breadmarket Street, a few doors away from Samuel Johnson’s birthplace. Greene was an eccentric antiquarian, but the fame of his museum and his collections spread far and wide, and the museum was open free to the public every day except Sundays. The museum played an important role in the West Midlands enlightenment of the late 18th century, providing a window on the world for people who were investigating, accumulating and classifying knowledge. The regular visitors to the museum included Samuel Johnson, the physician and philosopher Erasmus Darwin, who lived in Beacon Street, Lichfield, beside the west entrance to the Cathedral Close, the poet Anna Seward who lived in the Bishop’s Palace in Lichfield, and Sir Brooke Boothby, who donated the Herkenrode windows inthe East Chapel in Lichfield Cathedral. When Samuel Johnson was visiting Lichfield, the “city of philosophers,” in August 1771, he went to see “Mr Greene’s curiosities,” and in February 1773 he donated an axe and a lance to the collection. By then, the collection was rich in coins, crucifixes, watches, and specimens of natural history. 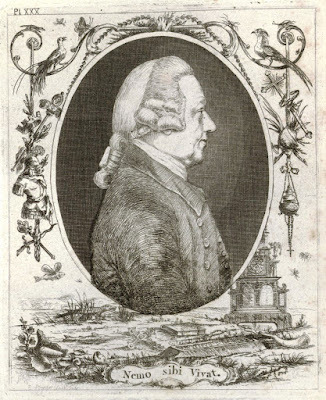 The five-page list of benefactors to the collection included Matthew Boulton of Birmingham and other key members of the Lunar Society, including Dr Erasmus Darwin, and the physician and botanist Dr William Withering; Erasmus Darwin’s son Charles Darwin, uncle of the naturalist Charles Darwin; Peter Garrick, a Lichfield wine merchant and brother of the actor David Garrick; the Welsh naturalist Thomas Pennant; and Canon John Taylor of Ashbourne, for whom Samuel Johnson wrote many sermons. As Roger Mott points out, Greene’s Museum and the Lunar Society influenced each other: Greene’s collection provided them with excellent material for their researches, while Greene in turn received a number of scientific instruments that became exhibits in his museum. Greene’s museum also opened a window to the wider world for the people of Lichfield: through its collections they became acquainted with leading contemporary scientists and their methods, and with many of the great discoveries, ideas and achievements of the age. Samuel Johnson also visited and admired Greene’s museum with the Thrale family in July 1774. Later he also donated the inkstand he had used when he was compiling his Dictionary to the museum. Johnson visited Greene in November 1777 seeking medical advice for his gout, and was more polite in his dealings with Greene than he seems to have been during their encounter in Ashbourne two years earlier. A “general syllabus of its contents” and a second edition of the museum catalogue were published in 1782. Greene’s museum had the range and variety typical of 18th century private collections. One of the most famous exhibits was a musical altar clock. The clock is in the shape of a Gothic mediaeval church tower, it is more than nine feet tall, and its outer case is painted to resemble stone. It is richly decorated with animated figures from the Crucifixion, including a revolving Pontius Pilate and Virgin Mary, who appeared and disappeared when the clock struck the hour. The clock also played five tunes, including a minuet by Handel. The local historian Kate Gomez of Lichfield Discovered suggests Greene’s ownership of this piece of Lichfield history inspired Greene to commission the plaque outside Brooke House at 24 Dam Street. There were objects brought back from the South Seas by David Samwell, the surgeon on the Discovery under Captain Cook. Samwell had given his collection to Anna Seward in the Cathedral Close, and she in turn passed them on to Greene. There was the handle of a crossbow, reputedly found on the site of the Battle of Bosworth, a mediaeval crucifix and painted altar-piece, specimens of Roman coins, suits of armour, illuminated manuscripts, a prayer book that once belonged to Katherine Parr, the last wife of Henry VIII, and pairs of gloves once worn by Mary Queen of Scots and Charles I. “I have enclosed the epitaph for my Father, Mother, and Brother, to be all engraved on the large size, and laid in the middle aisle in St. Michael’s church, which I request the clergyman and church-wardens to facilitate. “The first care must be taken to find the exact place of interment, that the stone might protect the bodies. Then let the stone be deep, massy and hard; and do not let the difference of ten pounds, or more, defeat your purpose. Less than a fortnight later, Johnson died quietly on 13 December 1784, and was buried in Westminster Abbey on 20 December. Greene later contributed some anecdotes about Johnson to Johnsoniana, and ensured that Johnson’s dying wishes for his family were carried out in Lichfield. The third edition of Greene’s catalogue was published in 1786. By then his collection had been augmented with minerals, orreries, deeds and manuscripts, missals, muskets, and specimens of armour. Greene died in Lichfield on 4 June 1793, aged 77, and was buried in the churchyard at Lichfield Cathedral. His second wife Theodosia died in Lichfield two months later on 1 August 1793. After Greene’s death, his son broke up the collection and sold most of the items to a variety of collectors. In 1799, the fossils and minerals were bought for £100 by the fossil hunter Sir John St Aubyn, MP for Penryn in Cornwall. The arms and armour, along with the souvenirs from the South Seas were sold for 150 guineas to William Bullock, who displayed them in his purpose-built Egyptian Hall on Piccadilly in London. Later they were added to the collections of Sir Samuel Meyrick. Most of the remaining curiosities were sold for £600 to Walter Honeywood Yates of Gloucester, who made many additions, and in 1801 printed a new catalogue of his collection. Many of the items were recovered later by Greene’s grandson, the Lichfield surgeon Richard Wright. He brought them back to Lichfield, displayed his reassembled collection in a new museum in the the former registry in the Cathedral Close from 1893 until 1806, when he moved it again to a house in Dam Street. But when Wright died in 1821, the contents of his house were sold and the collection was broken up and scattered once again. ‘The Lichfield Clock’ is now in the Victoria Art Gallery in Bath. One of the mediaeval manuscripts is in the Huntingdon Library in Berkeley, California. Some of the armour is in the Tower of London, and one painting is in the National Museum of Wales. Some of the collection may still be in Lichfield, in the museum in Saint Mary’s Church. Greene’s portrait was published in the Revd Stebbing Shaw’s Staffordshire, vol 1. It has a motto Nemo sibi vivat (“Let No Man Live to Himself”) which Boswell said was “truely characteristical of his disposition.” The motto is included in the memorial plaque I notice last week on the site of Richard Greene’s museum in Market Street, Lichfield. James Boswell, The Life of Samuel Johnson, LL.D. (1791, various editions). Roger Mott, The Motts of Lichfield, 1756-1869 (Brighton: Pen Press, 2011). Annette Rubery, Lichfield Then & Now, (Stroud: The History Press, 2012). Jenny Uglow, The Lunar Men (London: Faber and Faber, 2002). Chris Upton, A History of Lichfield (Chichester: Phillimore, 2001). Chris Upton, ‘Richard Greene’s collection of interesting objects,’ Birmingham Post, 29 May 2013. Chris Upton, ‘Crucifixion clock was Lichfield museum’s star exhibit,’ Birmingham Post, 12 June 2013.